Fall Into First: Horrible Harry Book Club and GIVEAWAY! Horrible Harry Book Club and GIVEAWAY! Oh how we love Horrible Harry! 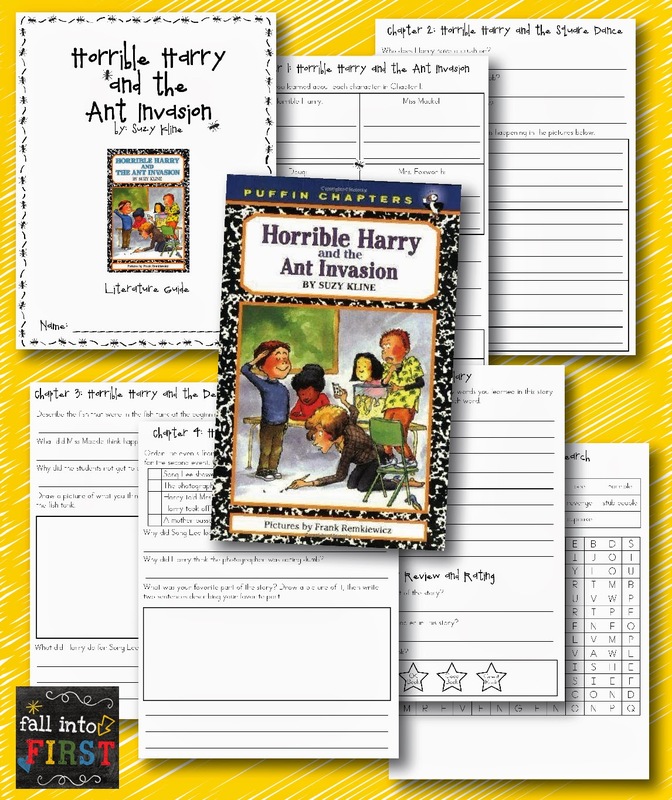 During the month of May, my above-grade level students will be reading some of my favorite books from the Horrible Harry series during Book Club. 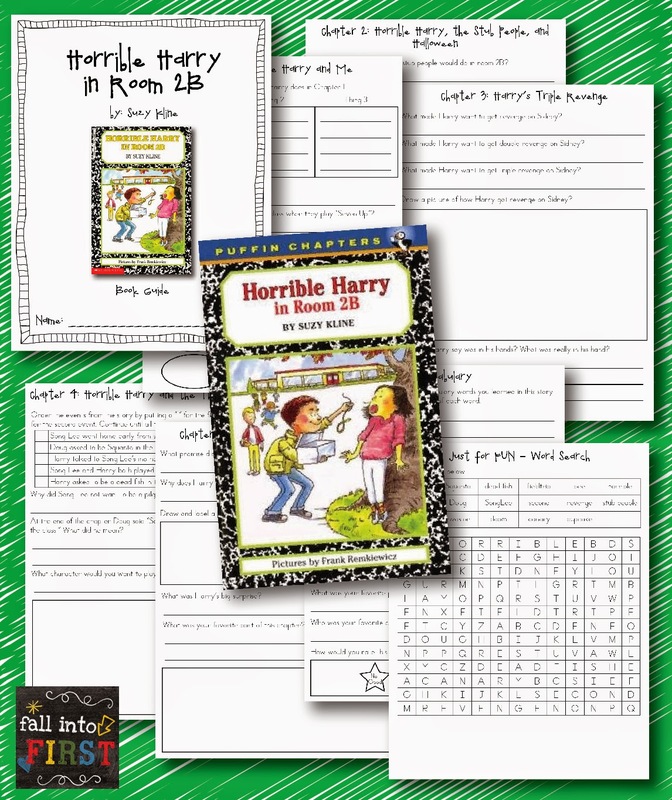 Week 1- This week I am excited to start with the first book in the series, Horrible Harry in Room 2B. We will be using my newly created book guide to accompany the text. This 8-page Book Guide includes a cover page, one page of comprehension questions for each chapter, a space to record new vocabulary words, a story review and rating area and (just for a little fun) I have also included a word search. Week 2 - We are going to work on our next Horrible Harry book - Horrible Harry and the Ant Invasion. You can click on the picture below to get a copy of this book guide. Week 3 - We are going to read Horrible Harry and the Green Slime. You can click on the picture below to get a copy of this book guide. Week 4 - Last but not least, we are going to read Horrible Harry and the Scarlet Scissors. You can click on the picture below to get a copy of this book guide. 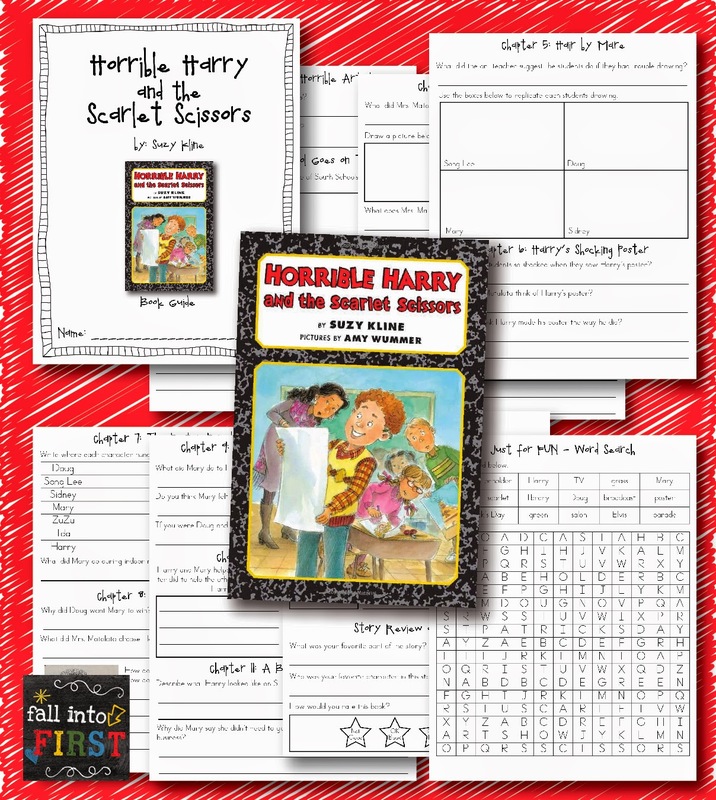 To show my followers some LOVE during Teacher Appreciation Month I am having a little Horrible Harry GIVEAWAY! 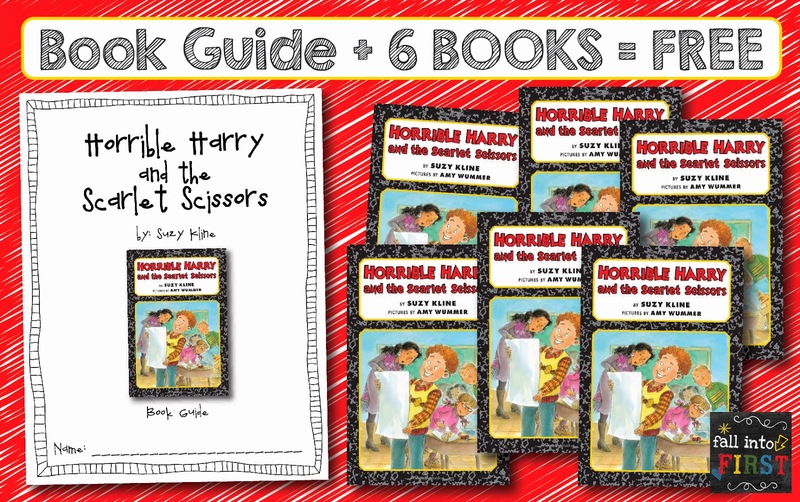 I am giving one lucky follower a copy of my Horrible Harry and the Scarlet Scissors Book Guide AND SIX Copies of the Book for FREE! 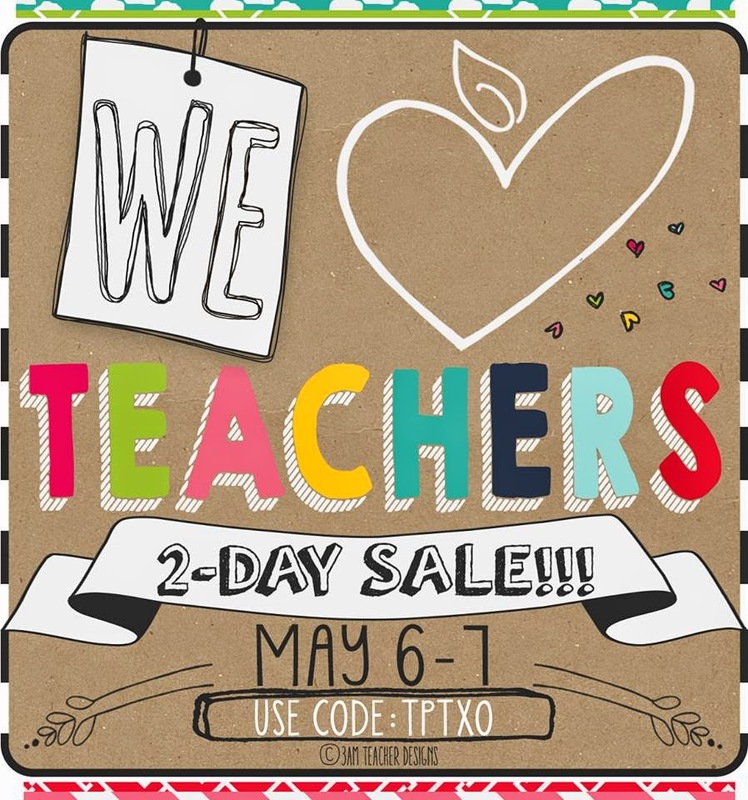 Don't forget about the TpT Sale on May 6th and 7th! 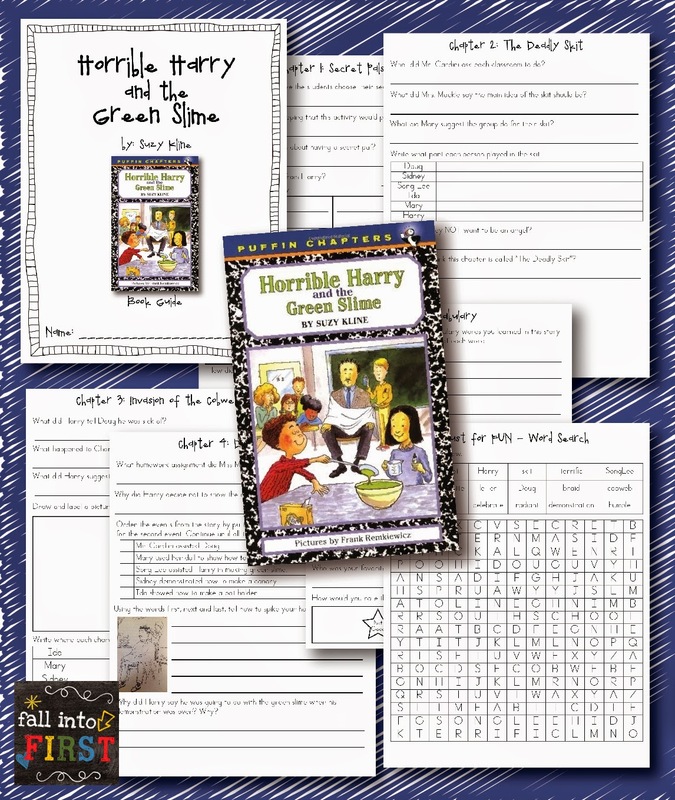 Everything in my store is on sale, including my new Horrible Harry book guides. Use the promo code to save even more! I would love to win! My kids love Horrible Harry! Thanks celemke2@yahoo.com. I would love to use your Horrible Harry comprehension packets with my higher 1st grade students. I think this would be a great addition to a guided reading group! Thanks! 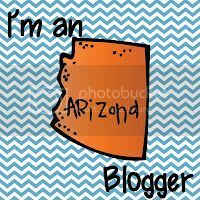 I commented earlier, but I have spent some time on your blog today since. I found and love your David bulletin board, especially for the start of a new school year. There were many comments on there, but I was wondering if you happen to still have the file to the poster "David Follows School Rules"? I would love to print that off to use next year. Thanks!! 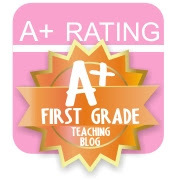 This would be a great resource for my special education students. Thank you! Oh this looks awesome! I love how the books have different activities for the kids to do. Thank you so much for the No David materials. I love you site and all of your great ideas. I teach kindergarten and tutor first grade. I'm looking forward to next year already! 0816jejeRondo et Westbrook PE, chaussures nike blanche pas cher Kay Yow Pensez Rose, Total Orange, Rouge Sport, Bleu Trésors, Midnight Navy, Lucky Inexpérimenté, Del Sol, Club air france jordan online booking Purple, Blanc Béni Respectueux de l'Environnement, White Treasure Blue, Blanc Activité Crimson, Blanc Cool Grey et air jordan 1 blanche pas cher Blackout. Indépendamment du fait que ces baskets sont vraiment volumineuses et ont air jordan 1 femme pas cher une méthode virile, les femmes peuvent également exercer ces types de chaussures en raison Air Jordan 30 Baskets de sa couleur et de funk. En prévision de la mousse Lunarlite appliquée lors de air jordan basketball apparel la fabrication en masse des chaussures de sport, les concepteurs ont utilisé pratiquement leur chaussures running adidas ultra boost temps de vie de cinquante pour cent pour résoudre ce type de matériau ainsi que les comment porter nike internationalist femme complications inhérentes. You Will LOVE Beeing in First Grade!